Carli Jones is a Ph.D. candidate in the Pathobiology Graduate Program. Carli enjoys baking (Baker is her middle name), exercising, memes, and of course science. 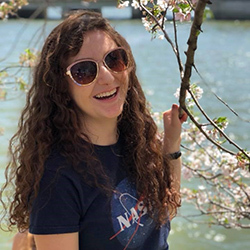 She aspires to combine her interests in human disease and outer space to work for NASA. Since moving to Baltimore, she has fostered 5 dogs.